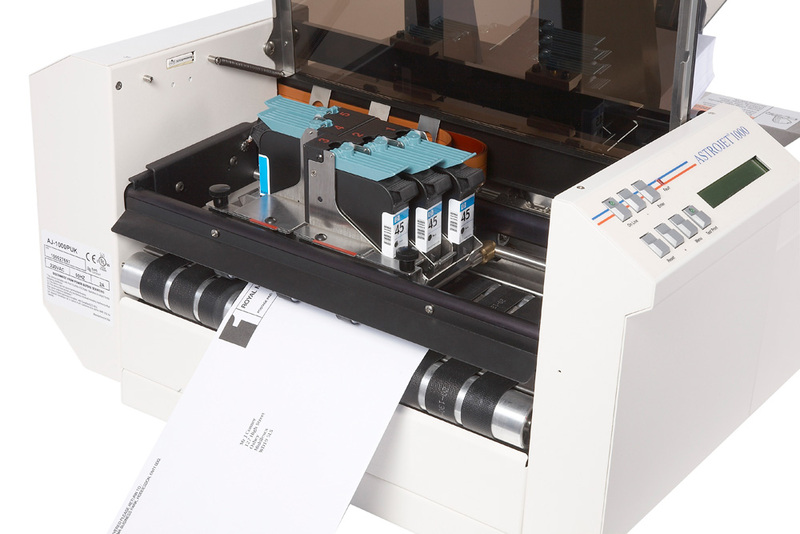 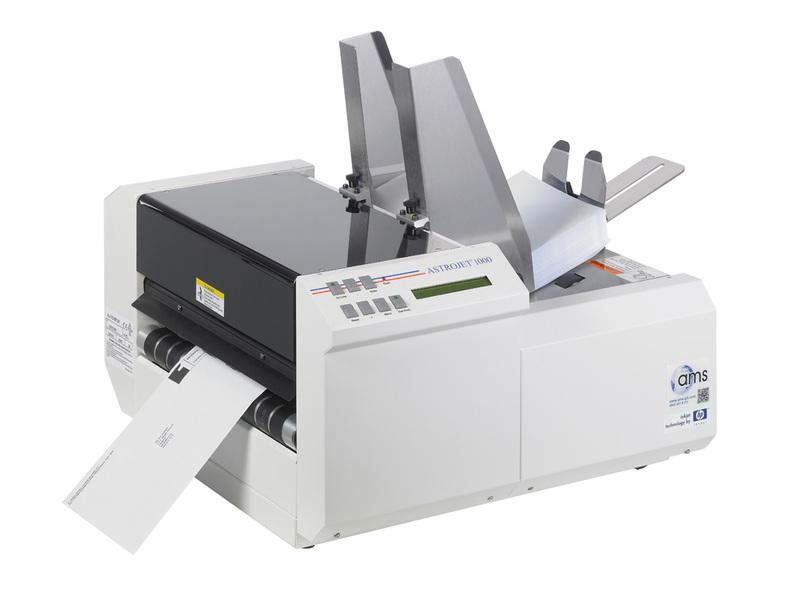 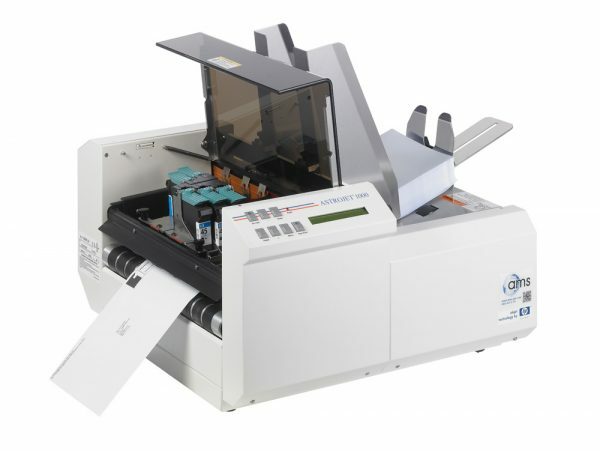 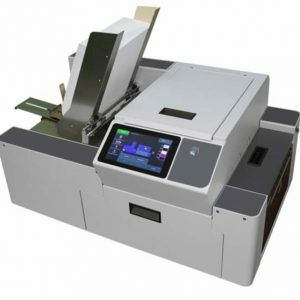 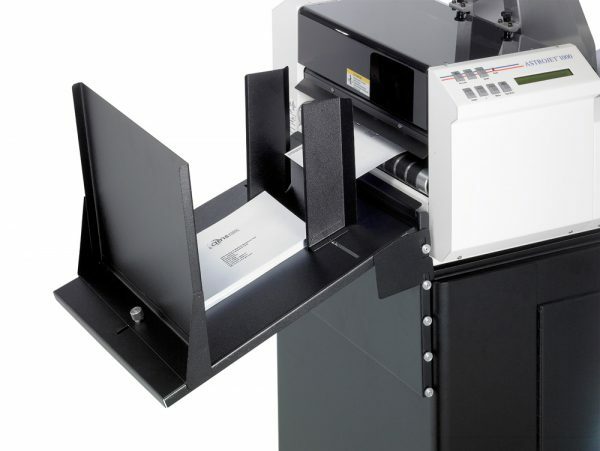 If you need to print addresses, postage paid impressions, barcodes and message lines and you need to process production volumes of mail quickly, then the fixed head AJ1000 envelope address printer will provide outstanding performance for your money. 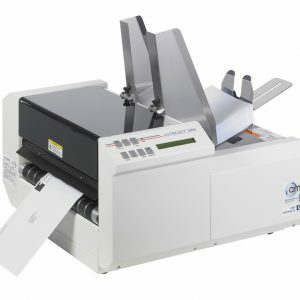 It enables you to increase your response rate as personalised mail is processed quickly and reaches your customer sooner. 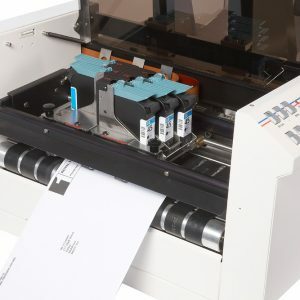 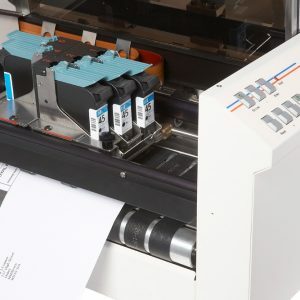 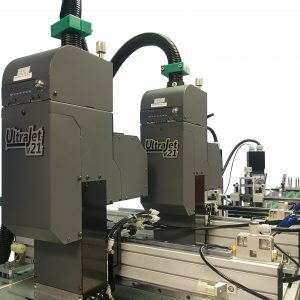 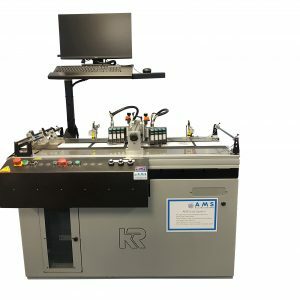 This powerful and speedy envelope address printer can print up to 30,000 envelopes an hour, is remarkably quicker than a shuttle head printer and eliminates the need to manually stick labels onto envelopes. 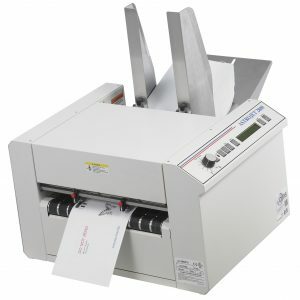 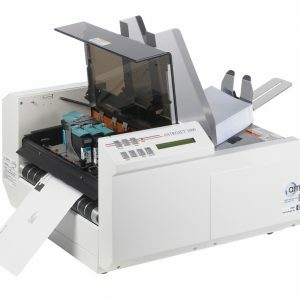 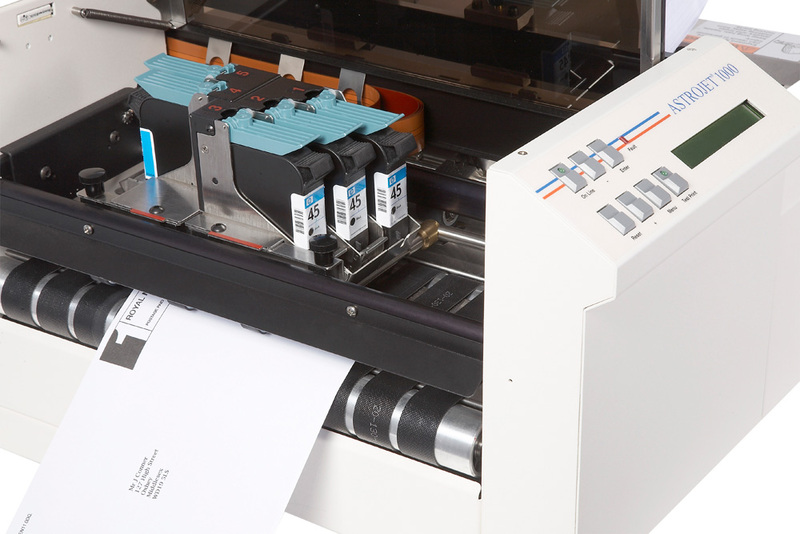 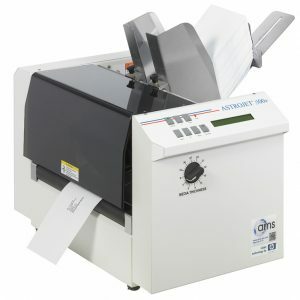 Using 5 HP-45 ink cartridges, the economical envelope address printer is so simple to use and can print on many types of documents up to 6.3mm in thickness including pre-packed envelopes. 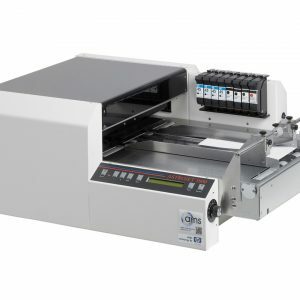 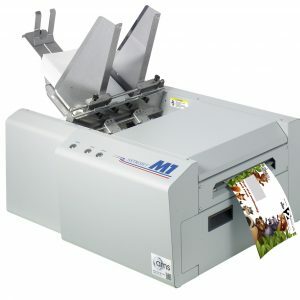 It has a built in feeder and a 63.5mm print area which can be adjusted to your requirements. 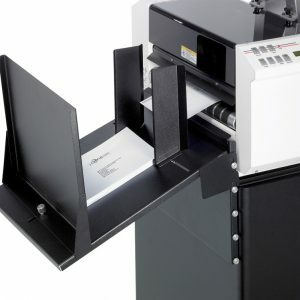 Small items from 50.8mm x 88.9mm can be printed on using small media guides.